Forever 21 is giving a new sale each day leading up to Black Friday. 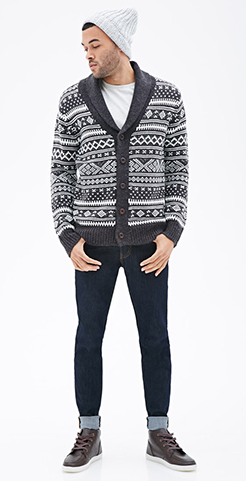 Today, you get 20% off men’s items using code F21Men plus free shipping on any order over $30.This Forever 21 Men’s Cardigan is on sale for $26.32 today. Click here for all men’s items included in the sale and get yo’ man something good for Christmas. Previous Post: « Singer Sewing Machines 68% off!